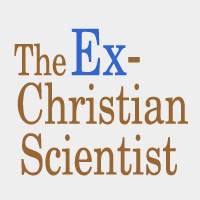 The following is a collection of contributions from members of the Ex-Christian Science collective about childhood health and safety issues they faced growing up in Christian Science. 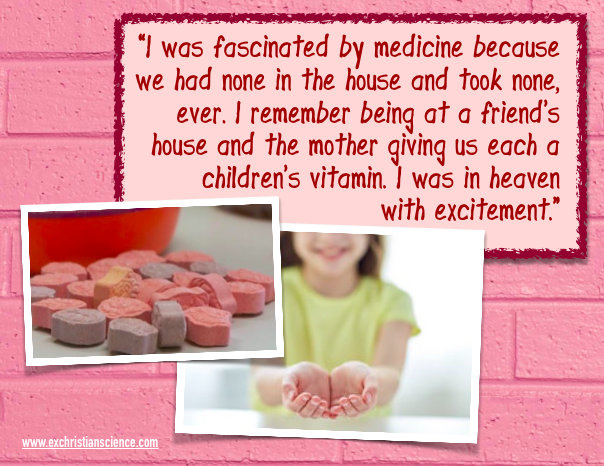 Once I was at a friend’s house, and the mom handed me a Flintstones vitamin at dinner and I FREAKED. OUT. 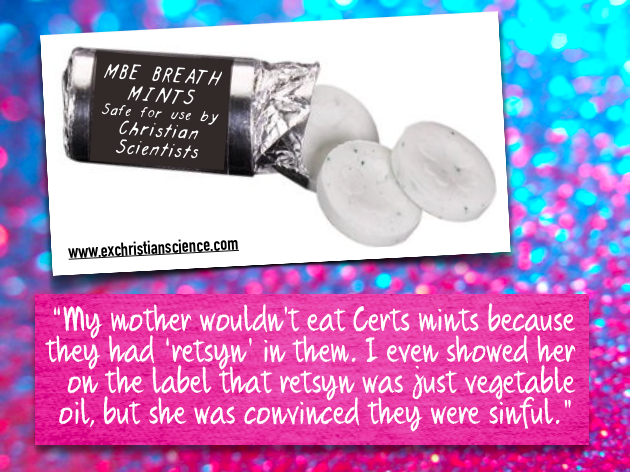 I jumped out of my seat and ran to hand it back to her with a breathless “I’maChristianScientist!” She looked at me so confused and said, “It’s just a vitamin.” And I launched into a mangled six-year-old’s explanation of Christian Science. I feel like they didn’t have me over again after that. The problem with not being allowed to have something that everyone else in the general population takes for granted, and more so being told it is wrong, is that it leads to trying it anyway and sometimes in the wrong way. I was very curious about medicine and actually went so far as to steal a little tin of Bayer Aspirin. I locked my little brother and myself in the bathroom and made him try one first. Of course they tasted bitter and horrible and we spat them out. To this day I don’t remember how I disposed of them. Worse was stealing a bottle of pills from a drugstore in the days when many drugs were on the shelf. I waited until my grandfather was in another aisle and whipped it into my pocket. They were tiny brown pills, god knows what. I took them to school and told my friends I had to take them. I was desperate to fit in. Until now, only my wife has known this embarrassing truth: at age 37 when I was first properly under the care of a doctor and was put on a few month-to-month prescriptions, I switched to Target pharmacy because they had red prescription bottles, and I had them all arranged artfully on my bedside table. When I was six or seven, I got a pre-made Easter basket, and deep inside was a bottle of ‘Vaseline medicated lotion.’ Do you remember how it used to say that? I can’t imagine what the ‘medication’ was; anyway it was instantly my most prized, secret possession until my dad caught me showing it off to my cousin and made a huge scene and took it away. My non-Christian Scientist cousin must have thought we were complete nitwits. My parents were the type who would drive an hour and a half just to buy a Swedish baking powder-based toothpaste without fluoride (before it was cool), so I certainly thought any kind of medicated applications for physical discomfort were totally off limits. I’d get colds and chapped lips all the time as a kid, and I’d try everything except the medicated vaseline we had in our bathroom cabinet (I think I thought it was there for when my non-CS aunts and uncles visited, like the coffee), like hot towels or even soap. 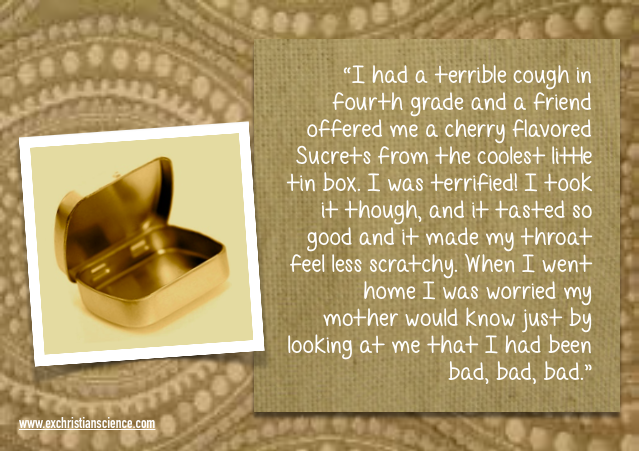 Then at some point, maybe when I was 10 or so, I decided to try the vaseline and it was such a relief! But I hit a snag when I realized I’d have to kiss my parents goodnight as usual… so I confessed that I used vaseline for my chapped lips and shyly asked if it was ok. My mom laughed and said “that’s what it’s there for!” … Well, my parents were (and still are) the masters of mixed messages, especially my mother. And now I’m addicted to chapstick. Guilty… but healthy and in less physical pain.